London-based development manager M3 Consulting launched the London Development Barometer in autumn 2017, which revealed subdued forecasts and a damning indictment of government, with 57% of the industry anticipating lower levels of development activity over the next five years and 86% believing that governments at a local and central level were not doing enough to enable development. Six months on, the figures stand at 42% and 82% respectively. 42% believe there will be less development activity over the next five years versus 33% who think there will be more. While a negative outlook overall, this reflects a drastic movement from 57% versus 19% respectively six months ago. 53% of the respondents believe that Brexit will either have no impact on, or lead to more inward investment from overseas, with 76% believing it will largely come from Asian investors. However 37% believe the volume of overseas investment will go down. 82% of the respondents believe that the central and local governments are not doing enough to enable London development activity, 11% of whom believe they are discouraging it. 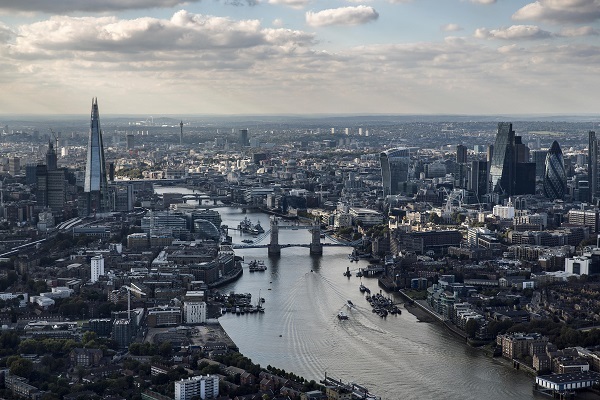 Improving town planning policies remains the industry’s top priority for enabling London development activity. In terms of industry breakdown of respondents, SMEs (up to 250 staff) accounted for 56% of respondents, with 44% from large companies (251+ staff). There was an average of over 19 years of experience and representation from all major property submarkets, including residential sales, build to rent, offices, retail, student accommodation and hotels.